Grace Bingham of Luling and Kristal Breaux of Bayou Gauche competed in the State Soccer Challenge hosted by the Knights of Columbus in Baton Rouge. The competition requires each participant to take twenty-five shots on goal from a predetermined distance from the goal. Points are awarded based on the area where the goal is scored: 20 points for the upper corners; 10 points for the lower corners; and 5 points for any other area of the goal. Kristal, 11, won her age bracket with a score of 245 points (24-10’s and 1-5), which was also the highest score achieved by anyone at the competition in any age bracket. Grace, 10, won her age bracket with a score of 190 points. 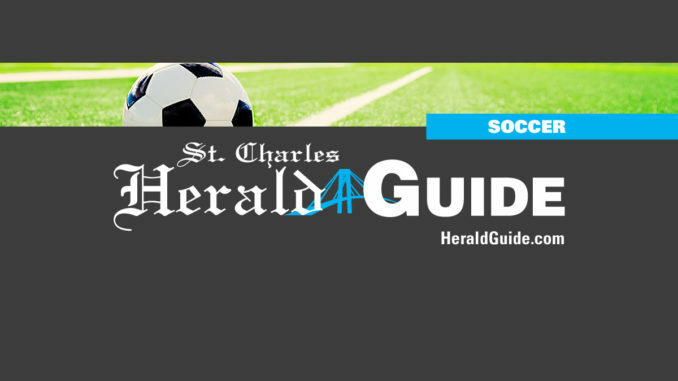 Kristal and Grace both play soccer for the U11 Tiger Sharks, who represent St. Charles Soccer in Division 1 play.